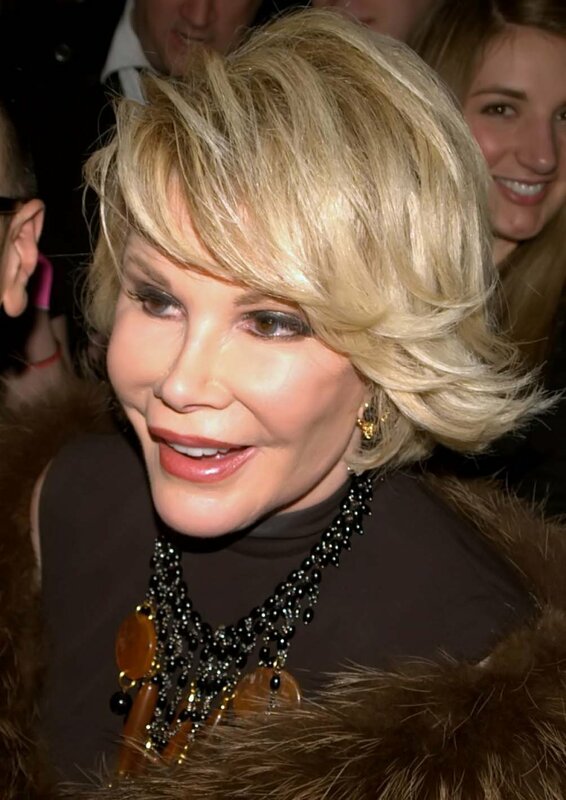 Joan Rivers will be honored Friday, September 19 on E!. The network will pay tribute to the late host with an all-day marathon of "Fashion Police" episodes. Highlights include her 80th birthday celebration and her last appearance on the show before her death. Daughter Melissa Rivers will join Kelly Osbourne, Giuliana Rancic and George Kotsiopoulos after the marathon for a 90-minute special in memory of Rivers. Melissa and the "Fashion Police" co-hosts will share memories of the comedian, and reflect on her life and career. The special will also feature never-before-seen moments, behind-the-scenes footage and outtakes from the series. Rivers hosted "Fashion Police" for four years, and recorded her last episode in August. She was hospitalized August 28, and died at age 81 on September 4. The "Fashion Police" marathon begins Friday at 7 a.m. ET on E!. The "Fashion Police: Celebrating Joan" special will air at 8 p.m. ET. Copyright 2014 United Press International, Inc. (UPI). Any reproduction, republication, redistribution and/or modification of any UPI content is expressly prohibited without UPI's prior written consent.